(Warranty covers 1) Manufacturer defects and 2) Emissions failures and check engine lights directly related to catalyst efficiency (Technicians report must be provided). 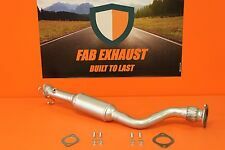 New fits 97-02 3.8L W body Gm cars. Local pickup is also available at our warehouse. 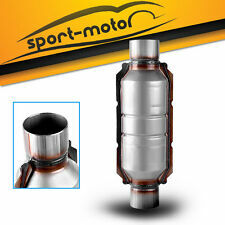 We provide ALL Mufflers, Catalytic Converters, front pipes, resonator pipes, flex pipes, mid pipes. 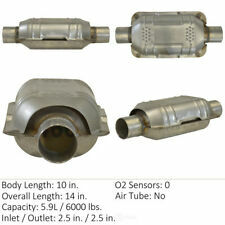 Catalytic Converters are not for sale in California. Eastern 93166 ECO III Catalyst. Their proprietary NANO technology chemistry yields highly efficient loadings for lower cost and better converter efficiency. EPA approved for all Federal and California Emissions compliant vehicles, including Low Emission Vehicles, in all states excluding California and New York. Eastern 82154 ECO II Catalyst. You are responsible for choosing the correct catalyst type for your vehicle, based on the categories below. Failure to install the proper catalyst on your vehicle may result in a. About The Part Only what is pictured is included. Gaskets and hardware is provided to the best of our abilities. Other Important Information . Eastern 82664 ECO II Catalyst. You are responsible for choosing the correct catalyst type for your vehicle, based on the categories below. 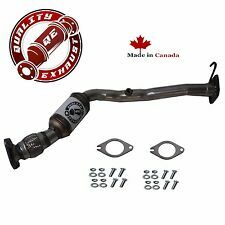 Failure to install the proper catalyst on your vehicle may result in a. Eastern 99164 ECO GM Catalyst. You are responsible for choosing the correct catalyst type for your vehicle, based on the categories below. Failure to install the proper catalyst on your vehicle may result in a. Eastern 70864 Heavy Duty Catalyst. Their proprietary NANO technology chemistry yields highly efficient loadings for lower cost and better converter efficiency. 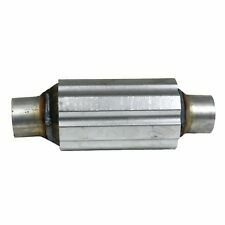 So what makes this converter better than the other products out there?. Eastern 99176 ECO GM Catalyst. Their proprietary NANO technology chemistry yields highly efficient loadings for lower cost and better converter efficiency. EPA approved for all Federal and California Emissions compliant vehicles, including Low Emission Vehicles, in all states excluding California and New York. 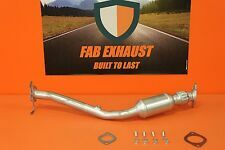 99304HM Magnaflow Performance Heavy Metal Series Catalytic Converter. Eastern 992154 ECO GM Catalyst. You are responsible for choosing the correct catalyst type for your vehicle, based on the categories below. Failure to install the proper catalyst on your vehicle may result in a. 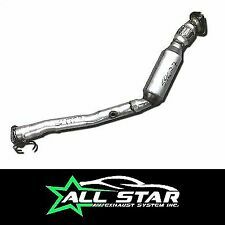 100% EPA Approved, Precision engineered for quick bolt-on installation. (Not for sale or use in NY/California). FIT THE FOLLOWING VEHICLES.